Our overhead is paid from our endowment and Damon Runyon Broadway Tickets, allowing 100% of your donation to support cancer research. Access a copy of the Foundation's most recent IRS Form 990. Access a copy of the Foundation's most recent audited financial statements. Access a copy of this year's annual report. Please contact Travis Carey, Chief Financial Officer, for further information at 212.455.0531 or travis.carey@damonrunyon.org. 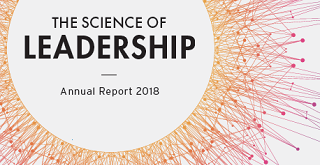 Because leadership is at the core of our mission, we identify and enable new generations of scientific leaders capable of discovering radical new approaches to how we prevent, diagnose and cure all cancers. View our latest video, Ours is the Science of Leadership.